Join Sports Medicine & Training Center for this year's new twist on healthy holiday challenges! 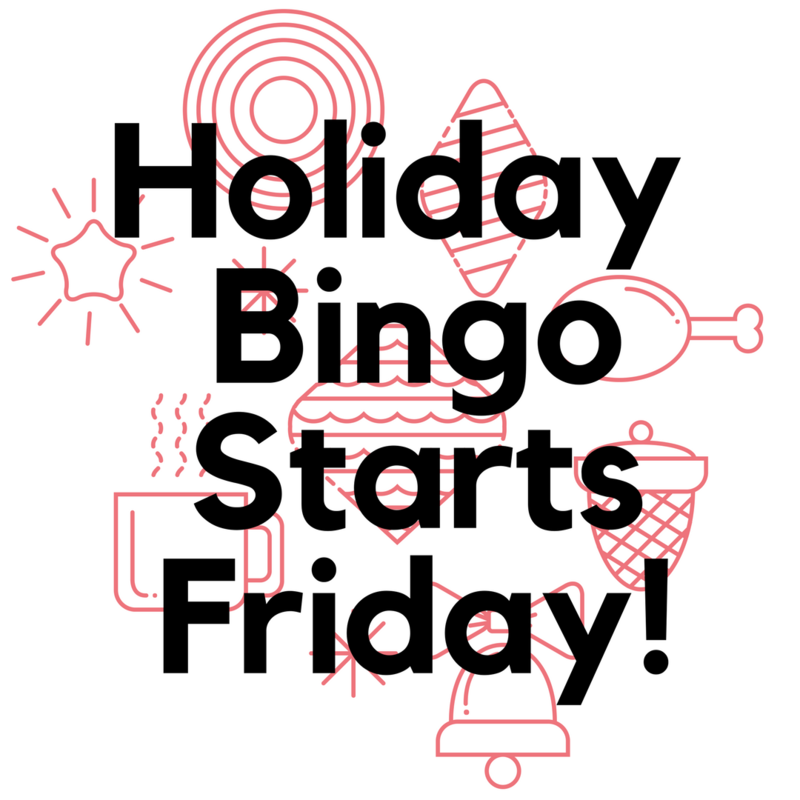 Pick up a free bingo card at Crestwood or Clayton and complete squares such as complete a stretch class, donate to a donation drive, like us us on Facebook. Win great prizes and have a little fun with the SMTC staff! 3 Bingo? 2 free exercise classes. Full Card? 1 personal training session with trainer of choice and braggin' rights for 2018! Keep your physical and mental self feeling great this December by playing along with us! You'll be doing good for your body, your mind and heart. * Contest is free to play. Runs December 1-31. Exercise classes are $15 drop-in or a class card can be used and/or purchased.